Good Morning all, it’s Liza, the Owner of The Wandering Path. This past weekend someone asked me the meaning behind the triple moon. For years I had a necklace of the triple moon in a different style than the boxes & wind chime but the reason I wore it was as a reminder to myself to encompass all those traits in this time not just when I reached that phase of my life nor to forget what came before. 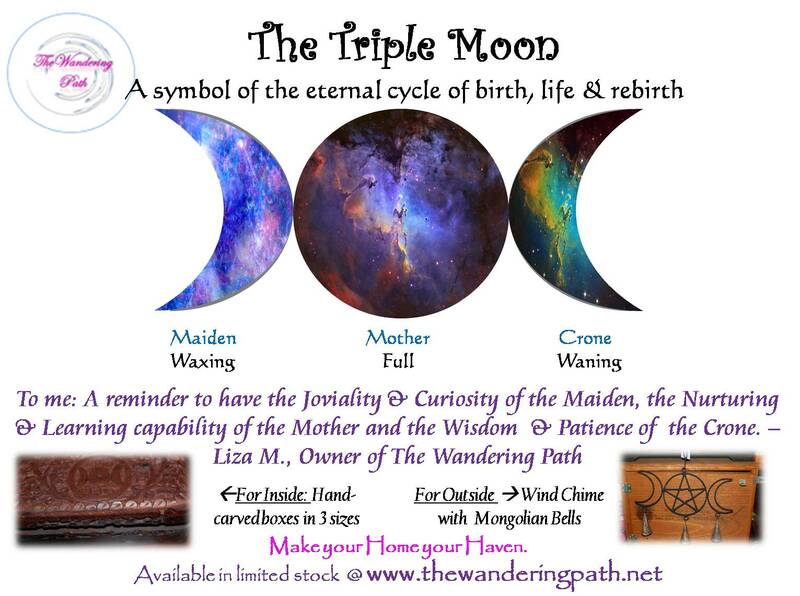 The triple moon has many meanings but overall it is a symbol of the phases of a woman’s life. 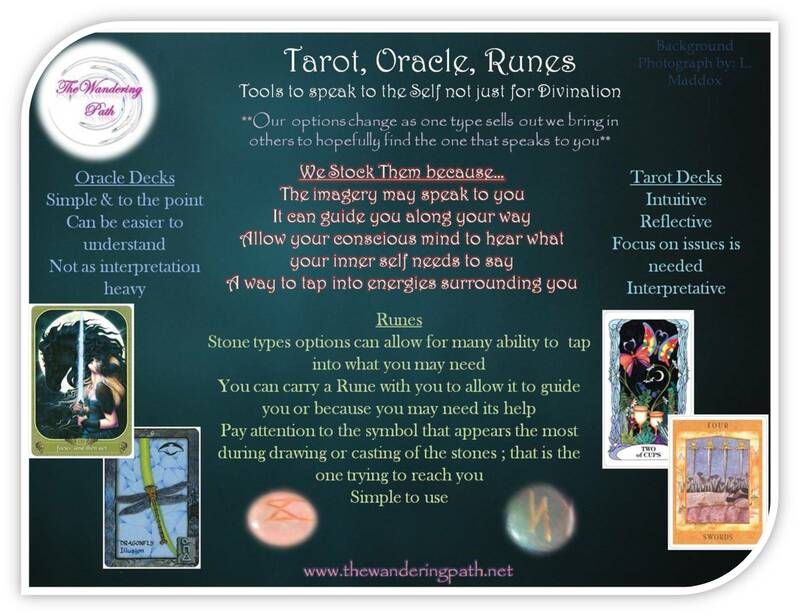 The journey from maiden, to mother, to crone and the traits we use or gain during those periods of that phase of life. Whether you choose to view it as a symbol of the Goddess, a Reminder as I do, or in another fashion; I like the idea of being able to bless a home inside and out with such symbols to allow it to be a haven to yourself and others upon seeing and entering. Good Morning everyone. It’s Liza, the Owner of The Wandering Path. As Samhain (Halloween) approaches I can feel the energies of the land and my own home needing a few things to be prepared. I know many do not share my views, and that is perfectly okay….everyone is entitled to have their own. For me, this is a great time of year but also a time of year in which I need to re-bless the house & the land it sits on to ensure that only positive energies and good influences can enter. 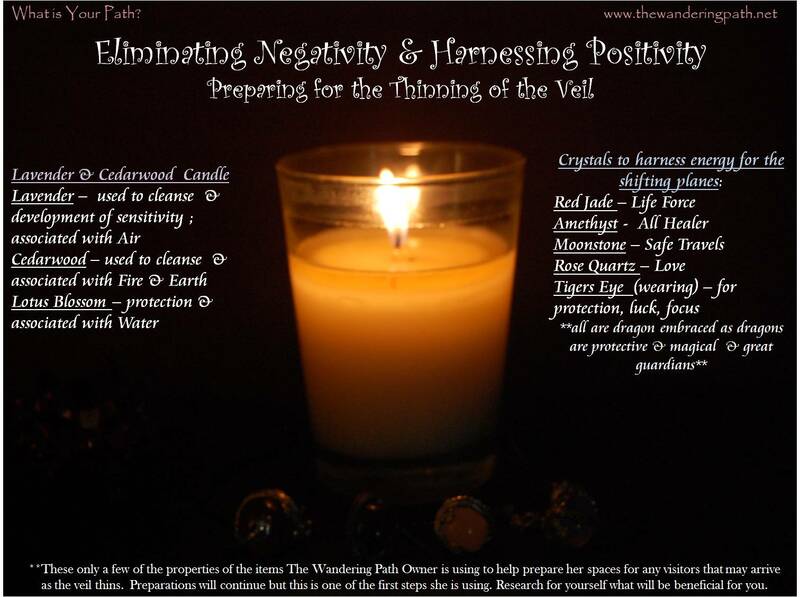 I usually only need to bless the house and land every five years or so as it seems my own energy output does quite well in making sure things that may mean harm do not enter. I also have animals that help with that as well but last year, my primary protector went on a journey I could not follow and so this year I need to make sure little extra protections are put into place. I could still feel her this time last year which is why I did not feel the need to do as much but this year I know she is not as around as she used to be as she has handed the reigns so to speak to the two cats I now have but they are still relatively new to the “gig”. The reason I began things last night is because that night and the night before, despite being very tired and eyelids drooping I could not sleep well…which to me meant the veil was beginning to thin with the Full Moon so it was time to start pushing any negativity out of the house and then off the land to prepare for any visitors that I may have when it is at its thinnest. Each year I do a Feast for the Dead and invite family & friends & any others that may wish to come and visit and this year the table will be quite full as I did lose many family members & friends; it is usually an evening where memories I didn’t realize I still had flood my mind and feelings of love, understanding, support etc…seem to just come out of nowhere. Well, the photo below is of the candle I lit last night (still burning as I post this) and where I placed a lotus blossom and a few of my pendants I wear to help begin the push out in the place I am most vulnerable…my bedroom. When you sleep you are vulnerable and that’s why I begin the cleansing there as I want it to be the strongest area of protection as I need that place to be the most peaceful for me as I never know who may try to speak to me when I am in that state. Well, I wish you all a great season and will share some other preparations with you should you ask or I feel the need.